Keep your Audi on the road by treating it to the quality services of an Audi specialist. We have an entire team on standby, ready to dedicate its talents and expertise to you! Audi owners are usually serious about driving excellence, and so are Audi repair techs. Whether your Audi is new or pre-owned, this German vehicle is primed for peak performance and handles the road like no other. We know how to enhance your Audi’s engine performance, as well as its precise handling. With a luxury vehicle so engineered for the driver, it’s no question that you won’t let just anyone handle your Audi repair and service needs. When you need Audi repair or Audi maintenance in San Luis Obispo, CA, you need to find a dealership alternative with comparable, if not superior, Audi knowledge. 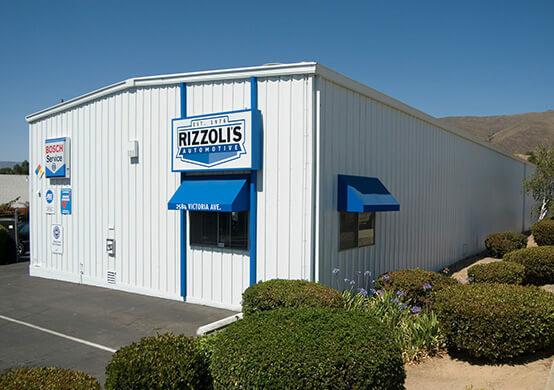 That’s where the Audi repair experts at Rizzoli’s Automotive in Santa Maria will always come in handy. Keep us on speed-dial and our expert Audi services will be one-button push away! Our ASE Certified Technicians are thoroughly experienced and specially trained in providing Audi repair and maintenance services on all models of Audi vehicles. All we need is your Audi and your trust; we’ll handle the rest! You made a wise investment in quality road travel, and we want to protect your investment. Get the biggest return on your Audi by trusting its services to the Audi specialists at Rizzoli’s Automotive. We utilize state-of-the-art technology and factory-level Audi diagnostic equipment to properly diagnose and repair your Audi. Pay attention to your Audi’s warning signs and bring it to our shop as soon as possible. The sooner you get to our facility, the sooner we can have you “back in the race.” Audis belong on the road, not in our service bay. But there’s no better way to ensure your Audi’s enhanced performance and its extended road-life than a visit to Rizzoli’s. We know that the Audi makeup is unlike any other vehicle on the road, and we are familiar with its intricate details. In addition, our Audi repair services are backed by a 36 month / 36,000 Miles Triple Coverage Nationwide Warranty on parts and labor. We also offer a 28 or 60+ point reliability inspection and hand car wash, free with most Audi services! 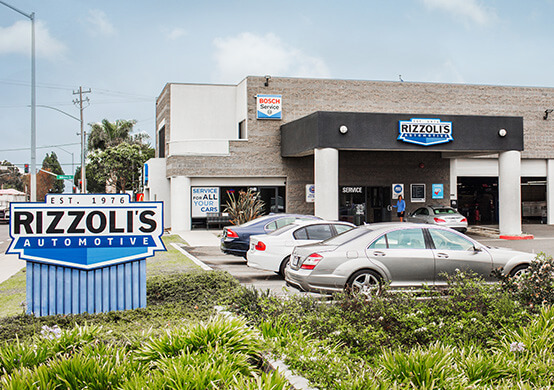 So next time you need Audi maintenance or Audi repairs in San Luis Obispo, CA whether it’s a simple oil change, or complex engine repair, let the Audi repair specialists at Rizzoli’s Automotive take care of it for you! We always stand by our promise: We’ll perform your Audi repair right the first time, on time and on budget, because we service your Audi with the care and passion as if it were our own. Give us a call today at 805-541-1082, or easily schedule your appointment online and we’ll get you back on the road and owning the fast lane in no time!